Recent months were tough on Facebook, as it faced some really huge crisis one after another, which lead people to delete Facebook. Despite the backlash over Cambridge Analytica case, Facebook CEO Mark Zuckerberg is marching forward with an optimistic outlook towards the future of the social media platform. He took the stage at F8 Developer Conference at San Jose, California, called F8 to unveil several new features coming to Facebook & its subsidiaries. “We have real challenges to address but we have to keep that sense of optimism too. What I learned this year is we have to take a broader view of our responsibility.” said Zuckerberg. The conference has become a platform for Mark to introduce a slew of new products and technology features which will be coming to its apps. Mark Zuckerberg during his keynote speech. Facebook is launching a new feature for dating, which will match you up with others who have opted for a dating profile on Facebook. The profile will include basic information like your name, job, where you live, where you studied and your photo. This feature will completely be optional for users. It will only suggest partners who are outside of your friend’s group. During Mark’s speech he said, “There are like 200 million people who have marked themselves as single on Facebook, this feature will help them to build real long-term relationships, not just hookups and we have designed this with privacy and safety in mind from the beginning”. There will be separate inbox for dating messages & it will not allow to send photos, according to reports. Company announced a new privacy feature that will allow users to check & clear browsing history which Facebook has collected from the sites & apps you have visited. According to Zuckerberg, “Launching this tool is the right thing even if it makes users’ lives annoying”. When you clear cookies from your browser, it washes your preferences which will make you sign back in to every website you like, and you may have to reconfigure things. This will lead to Facebook relearn your likes & dislikes and then show you the relevant content. Facebook is all set to release Oculus Go an affordable VR headset to take the VR gaming experience to the next level. This will be standalone headset which will not require any smartphone or PC to operate. It will cost $199 for a 32-gigabit headset and for $249, you can get a 64GB model. 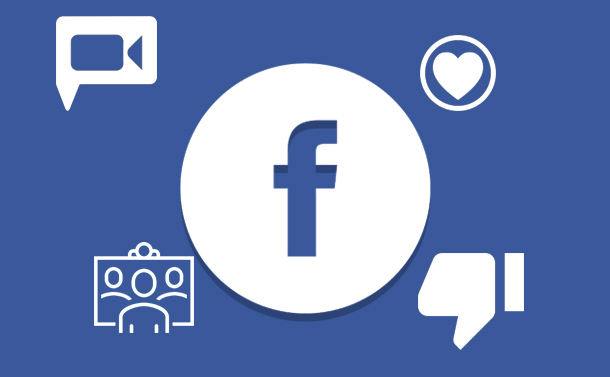 This Facebook latest feature aims to bring VR into mainstream, the company will be introducing more than 1,000 games and experiences including a short VR version of Jurassic World and a space exploration video created with NASA. With standalone VR headset, Facebook also announced Oculus TV which will be a brand new experience for everyone to watch TV in virtual reality. In collaboration with Netflix, ESPN and Showtime, the Oculus TV App brings a home theater feel inside your VR headset. While as of now We don’t know much about this feature, but in coming months you’ll soon be able to upload & share, 3D photos to your news feed. Facebook already supports 360-degree photos and video sharing, so the addition of 3D photos will make it more interesting. The company will use some of its machine learning smarts to power this feature. While announcing about latest Facebook updates 2018, Zuckerberg also shared some weird but interesting feature of introducing VR Memories that will take your old photos and turn them into spatial point clouds, giving users a bizarre, ethereal sense of the locations where photos were taken. Leveraging AI & VR to bring Facebook Albums into life and to reconstruct your childhood memories, which will be quite interesting to see. This Facebook latest feature was requested by many for years is finally here. With latest Facebook updates, this feature will allow you to “downvote” posts which you don’t like or agree with. At f8 Developer Conference, Zuckerberg also focused on the changes the company will be implementing to its subsidiaries. The company will be redesigning Instagram’s explore tab with Topic Channel section. Instead of seeing bundles of photograph you will be exposed to Topic Channel which will show you the content according to your interests & preference. Means, limited amount of content but quality content! Facebook’s Instagram will be rolling out a Video Chat feature. Many Instagram users are already using Live Video feature to hangout & this feature is an extension of that. Facebook is working really hard to get VR & AR in order to bring these technologies into mainstream. The company is bringing AR camera platform which will be called AR Studio (According to Sources) for third party creators. It will debut with brand new AR Filters. Facebook says, “Users will be able to design unique, interactive camera experiences, including face filters and world effects, for their followers on Instagram.”. Meanwhile, Instagram will be launching a filter for protecting audiences from bullying. To make a safer place for teens to hang out, this feature is introduced which will save users from bullying comments & direct messages. Users will find bullying filter from the “Comments” section on their phone app. Instagram is rolling out with latest features that makes your Insta stories more interactive. The company is teaming up with third party apps like Spotify, GoPro, SoundCloud and more. If you use any of these apps, you can share sticker of songs, playlists, or albums you’re currently listening to with a link to play it. You can edit it & add to your story or share it as a DM to someone. Beginning with improving the overall design of Facebook Messenger with more simple & cleaner look. The company is focusing to make messenger app look less cluttered. Users will be able to customize the setting accordingly. According to Facebook, Messenger App will become the key to get more businesses through its AR effects & translation feature. Automated translations were one of several new Facebook features announced at its F8 developer conference. The translation is named as M Translation, which will translate the conversations in real-time. This feature will be launched in United States & will only translate English and Spanish at start. AR Camera Feature will offer users to see products they are shopping for as if they already have them. Users will be benefited as they will learn more about the products than they would, by simply viewing them online. The new AR feature lets companies embed AR graphics within Messenger so that customers get a more compelling sales pitch while chatting. This feature is only limited to some companies & interested businesses must apply to test it. WhatsApp stories has become a trend these days, with around 450 million active daily users this extended update to get stickers will create buzz. Following the footsteps of Messenger, Line and WeChat, it will also allow third parties to develop their own collection of stickers. WhatsApp is soon coming with Group video call feature. According to statistics, cumulatively users are spending around 2 billion minutes every day on video & audio feature currently provided by WhatsApp, which evidently explains why WhatsApp is getting ready to add group calls on video. So, these were some of the super amazing Facebook features 2018. Let us know, which feature did you like the most?